Wastewater entering the plant is pumped up so that it can flow through the treatment process and out the outfall pipe entirely by gravity. 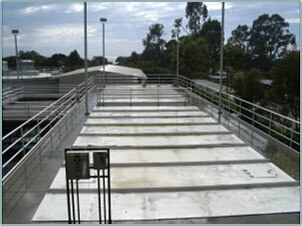 A self-cleaning mechanical bar screen removes rags, floatable debris and other oversize material. A cyclone grit separator then removes sand, gravel, egg shells and other non-organic components of the incoming wastewater. Screenings and grit are disposed of in a permitted sanitary landfill. The primary clarifier is a large settling tank used to separate solid matter from the liquid wastestream. Solids are removed and pumped to the aerobic digester for further processing. 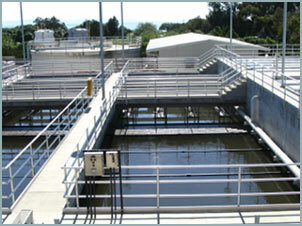 Floatable components, such as grease, are also removed and collected in the primary clarifier. The tank is covered to contain and control any odors that may be generated. This process, generally referred to as “secondary treatment”, consists of two parallel tanks in which the conditions for biological treatment are optimized through addition of air. The tanks contain hundreds of millions of actively growing single-celled microorganisms (mostly bacteria, but also protozoa, fungi, and others) which consume the bacteria in the wastewater. 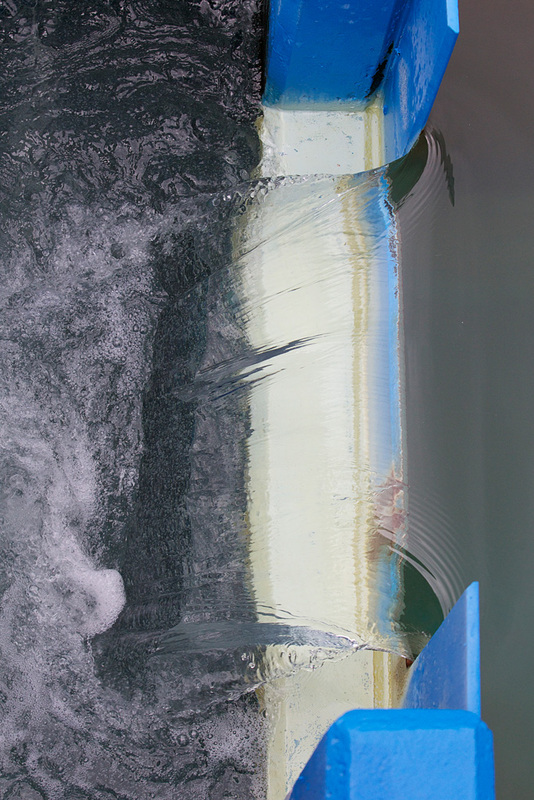 The District’s aeration basins are normally operated in “extended aeration” mode which allows for conversion of ammonia to non-toxic forms of nitrogen. 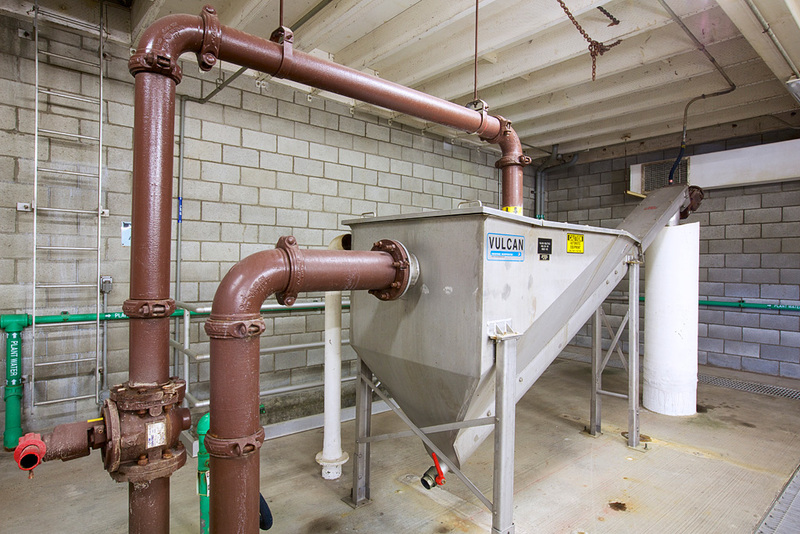 Effluent from the aeration basins flows to the secondary clarifiers, which are large settling tanks used to separate solids from liquid wastestream. 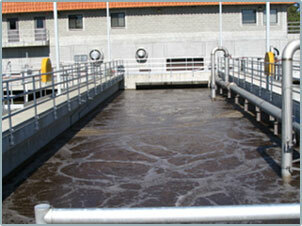 Clear water flows over weirs and is directed to the disinfection process. Sodium hypochlorite, which is liquid bleach, is used to kill residual bacteria prior to discharge. The chemical is injected at the head of the chlorine contact tank and allowed to react for at least two hours. Sodium bisulfite is used to remove any remaining chlorine prior to ocean discharge. 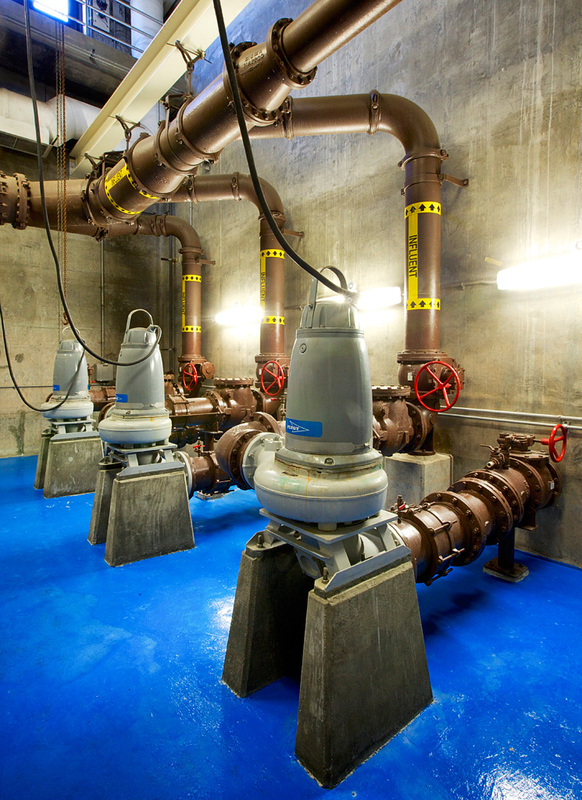 The fully treated effluent is discharged to the Pacific Ocean via an outfall pipe that is approximately 1,000 feet long. The pipe has diffuser ports near its terminal end to evenly distribute the flow. The District regularly monitors the ocean near the outfall and the surf zone to ensure that the environment and public health are being protected. 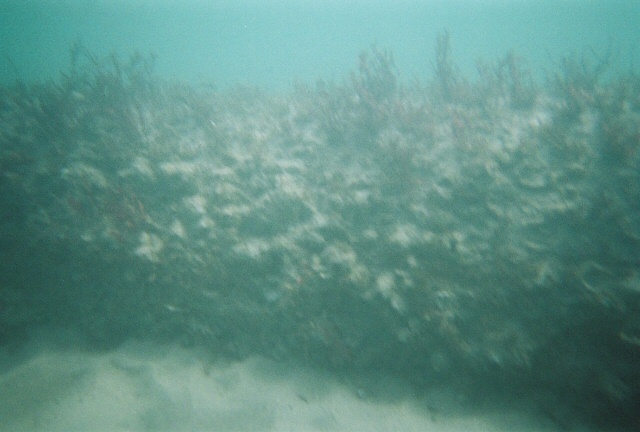 The outfall is inspected and videotaped annually by divers to assure it is functioning safely.